Over the 20 years that we have been doing knowledge management, there has been a number of recurrent arguments that appear regularly, often several times a year. Watch the linked-in forums; you will see these arguments popping up like mushrooms. I call them cul-de-sac arguments, as they lead us nowhere. They are never resolved, and they make little difference to pragmatic knowledge management. Here is the first and the biggest. This argument often comes about because people sometimes assume that "knowledge management" means "the management of knowledge". Given that knowledge is intangible, they feel that it cannot be controlled as a "thing", and that without control, there can be no management. This argument is debated around and around and around and around, and usually ends up with the position that "it depends what you mean by knowledge, and it depends what you mean by management". Often the argument is an emotional one, driven by the feeling that "Knowledge is Good, Management is Bad", and that we ought to find another term. "Knowledge Sharing", perhaps. My position is that it doesn't matter. The validity of "Knowledge Management" doesn't depend on whether knowledge is a concrete object to be controlled, any more than the validity of "Reputation Management" depends on whether reputation is a concrete object to be controlled, or that the validity of "Risk Management" depends on whether risk is a concrete object to be controlled. The point is that you can do some really useful things through Management, which enable the flow and re-use of Knowledge, and which deliver real value to an organisation. It's "Management with a focus on Knowledge", and that's enough to call it Knowledge Management as far as I am concerned. "If you write it down, is it still knowledge?" Many hours have been spent arguing whether knowledge can ever exist outside the human head. Some say "Yes, it's explicit knowledge". Others say "No, it's information". when you formalise your thoughts into coherent form? when you speak your thoughts? when you record what you speak onto video? when you write a transcript of that video? Nobody knows, and trying to pinpoint the step at which knowledge becomes information, is irrelevant to the fact that you can add value to an organisation (in many cases) through written transmission. It's seldom the best way to transfer knowledge, but sometimes its the only practical way. This is an argument that gets very philosophical, very quickly. Plato is often quoted, along with Senge, and other philosophers. Nobody can ever agree which definition is correct, nor which philosopher is authoritative. I don't think it matters. You don't need to agree on the definition of an electron, to be able to create an electronic circuit which does useful things like lighting a lamp or ringing a bell. Similarly you don't need to agree on the definition of knowledge, to be able to help knowledge flow in order to do useful things like solve a problem or improve a process. You don't need to define "a thought" in order to think, you don't need to define "music" in order to sing, and you don't need to define "knowledge" in order to do knowledge management. Knowledge is hard to define, but its not that hard to deliver real value through knowledge management. So the answer is "we don't really know, but see what we can do with it!" Nick, there's a good practical reason for thinking and talking about what knowledge is. Not to go round in philosophical circles or come up with a definitive answer (agree with you here) - but to make sure that KM includes more than capturing things that can be written down. Writing things down is useful, but it's the information management end of KM, and often the least valuable. Because it's much simpler than other ways of sharing knowledge (and much more visible) it tends to take over - especially when people have to demonstrate that they are 'doing something'. Thinking and talking about what knowledge is creates a deeper understanding and a much better starting point for deciding where to focus KM attention. Yes, that works if it's done properly - and as I have great respect for your work I'm sure that you do it very well! But what's to stop an inexperienced KM practitioner defining KM as 'capturing in writing and disseminating things'? I've seen this many times (as I'm sure you have, too). It doesn't help that the web is full of such definitions of KM. Great perspective; I agree wholeheartedly with the conclusion re: impact on moving forward. At the same time, when organizations or even just new individuals are engaging in the discipline, they need to work through these issues or doubts that are percolating in their heads. I'm sure you have become very efficient at gently guiding the conversation to the end you've already recognized, but for clients fully engage as active supporters, they may have the need to feel they've "let it out" before they can fully "join in." I agree with your 3 points above Nick however let me play devil's advocate for a moment. I have been reading your "Lessons Learned Handbook" recently (excellent by the way) and you spent several pages defining "Lessons Learned". I found that valuable but can't put my finger on why this definition feels helpful but those you describe above are just futile. Can you shine a light on this for me please? You don't have to fully define what it is, to work with it. You have to understand what it does, what it is for, and how it can be shared and re-used. Excellent question, Phil! And thanks for the kind comments and for the devils advocacy. I am by no means opposed to definitions, so long as they are helpful. I believe that definitions are important, and the definition of Knowledge Management is particularly important. In my experience however, trying to define Knowledge Management by trying to agree on a definition of Knowledge has not been a helpful way to understand KM, especially given the deficiency of the English Language when it comes to Knowledge. Defining knowledge leads down philosophical pathways that quickly become divorced from pragmatic reality. I certainly have definitions of knowledge which I like - you can find them on this blog by clicking the Definition label (I prefer the Senge definition) - but I am not going to get into a long argument about it. The "lesson learned" definition is more useful, I find, because it gets people to think about the Learning bit. Particularly the concept that if nothing has changed, nothing has been learned. I wouldn't see a definition of KM as being a cul-de-sac argument. I think it's a very important argument. Although you're unlikely to be able to come up with a universal definition that everyone will agree with, you can at least say "this is how we define it here", or "this is what I mean when I use the term". 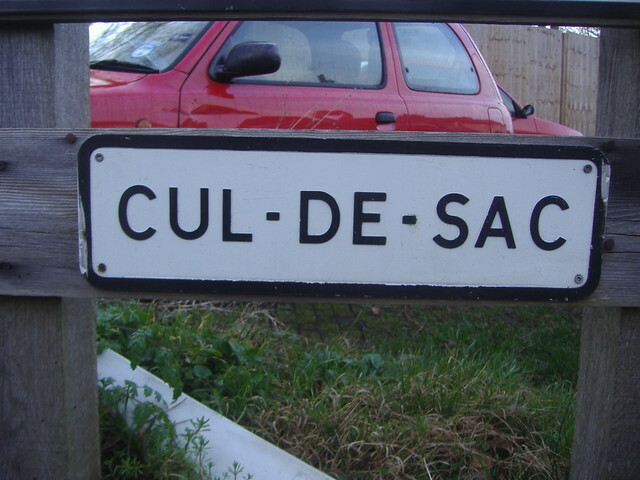 Where the cul-de-sac comes in is trying to start to define Knowledge Management by beginning with a definition of Knowledge as the first step. It's funny, by the way, that nobody tries to start with a definition of Management - although this is an equally fuzzy topic. It would be like trying to define Electronics, and getting stuck with the definition of an Electron - "Is it a particle? Is it a Wave? We have to define this before we can wire the house". Or to say "I have to define what a Thought is, before I can start to think". Although I regard myself as a "Professional Epistemologist" and enjoy a good debate about the meaning of knowledge and whether we can ever escape Plato's cave, I am generally paid to put knowledge to work, which as you say, is a matter of practical use - not epistemology or ontology. The measure is "did we make more profit?" not "what does it all mean?" The bottom line is, well, the bottom line, and KM is a matter of praxis and achieving organizational goals, not fireside debates over meaning. While definitions are needed, they are only needed to the degree that they enable us to do something, so as long as we agree that they can be changed in the light of experience, all we need of them is to be usable. On the cul-de-sac list --- Amen Nick! In solving real business and operational problems for organizations, it makes no difference to those in business who have to apply their knowledge practically.